Aric Almirola started Stage 1 in the 37th position and completed the season-opening stage in the 18th spot. During the first caution of the race, Almirola had to make two pit stops after sliding his tires on the originally scheduled fuel-only pit stop. At lap 50, during the second caution of the race, Almirola visited pit road for fuel, four tires and adjustments to the No. 10 Ford. The Tampa, Florida, native began Stage 2 from the fifth spot and gained one position to end the stage in fourth. The fourth caution of the race came out on lap 93, and Almirola visited pit road for service to his Ford Fusion. He received two right-side tires and fuel from the Smithfield pit crew and restarted 12th. On lap 112 Almirola reached the third position, his highest-running spot to that point in the race, before ending Stage 2 in fourth. The 33-year-old driver entered Stage 3 in the seventh position and completed it in 11th. Before the start of the final stage, Almirola once again visited pit road for fuel and four tires. Almirola made a scheduled green-flag stop on lap 170 from the 12th position for the pit crew to put on two right-side tires and fill his Smithfield Ford full of fuel. With 10 laps to go Almirola was in the seventh position, and with five scheduled laps to go he was battling for the lead with teammate Kurt Busch. 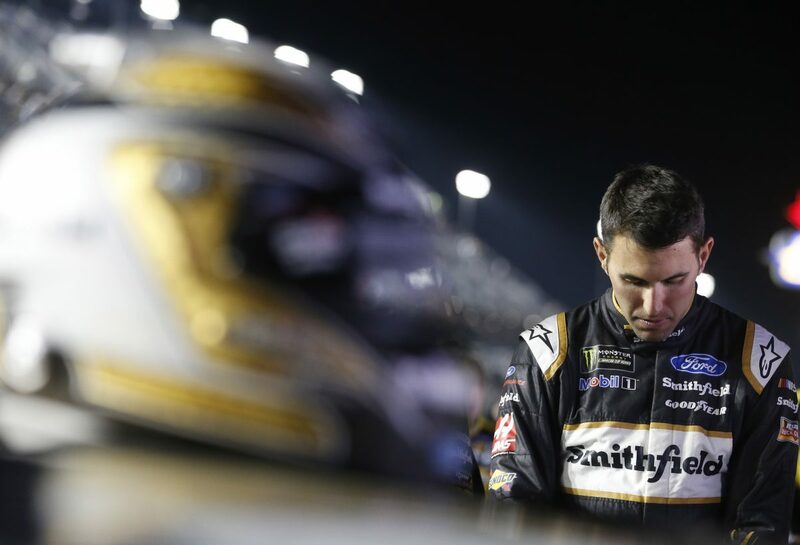 The race was sent into overtime due to a late-race accident, and Almirola found himself in the second position for the final restart. He took the lead on lap 206, but Austin Dillon made contact with the No. 10’s bumper, turning Almirola into the wall on the final lap. Almirola led the penultimate lap of the Daytona 500 before contact from the race-winning car of Dillon on the final lap sent the No. 10 out of the lead and into the wall. Almirola finished fourth in Stage 2 to earn seven bonus points. Dillon’s win in the Daytona 500 was his second career Monster Energy NASCAR Cup Series victory and his first at Daytona. His margin of victory over runner-up Darrell (Bubba) Wallace Jr. was .26 of a second.